What can I say, its the fuel that keeps me going, even though nowdays I drink Decaf as normally tea affects my head too much resulting in splitting headaches, I know guys that’s not proper tea, its hot and wet and makes me happy so there! I seem to doodle teacups, other people doodle stars or wiggles mine are often teacups. 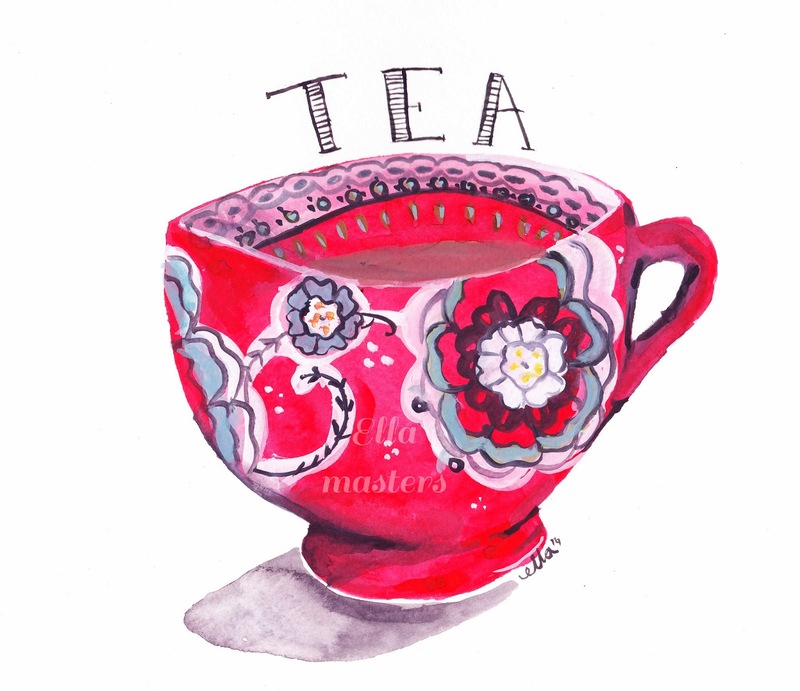 This *tea cup Illustration is taken from an Anthropologie Mug (Ayaka Mug)I have and its one of my favorite possessions. Alas I am back to the 9-5 job tomorrow (7.30-3 I should say) it will be lacking in tea, but I will be getting back to my routine for a while, even though I lost weight over Christmas I am feeling podgy. So to people who have gone back to work, working hard or who haven’t had a break over Christmas I hope you have the time for a good cuppa. Previous Post staying creative : where i find my inspiration | how do i log it? Just like coffee is to some people, tea is easily my favourite drink! Love the pic! This illustration is beautiful…I'd purchase all the Anthropology mugs if I could! I really like the illustration 🙂 A tribute to tea is always a good idea. I usually drink it before I sleep or in the daytime, if I don't have coffee, I go for black or green tea – they do wonders for my metabolism! What a beautiful cup, no wonder it inspired you! Hope you have a nice day back at work. you're so good at illustrating! I love all of your illustrations, your style! it's somehow funny, I have headaches when I don't have coffee or something with caffeine. This is such a gorgeous illustration, you are so talented!